Welcome to the blog of Euro Furniture. POLISH FURNITURE — POLSKIE MEBLE UK. Euro Fur­ni­tu­re com­pa­ny offers a wide ran­ge of polish fur­ni­tu­re in UK. We are based in Lon­don at Stan­mo­re. We have many years of expe­rien­ce in the fur­ni­tu­re mar­ket. Fur­ni­tu­re can be orde­red by visi­ting our sto­re, onli­ne via our shop onli­ne or by pho­ne. We are an autho­ri­zed distri­bu­tor some famo­us and repu­ta­ble polish fur­ni­tu­re pro­du­cers in the Uni­ted King­dom, such as: Black Red Whi­te (BRW), Bog­fran, Meble VOX, Cama Meble, Dignet and many more. Check out the latest trends and design of polish fur­ni­tu­re by clic­king a link BLOG, whe­re you will find a lot of inspi­ra­tion to deco­ra­te a home in the UK in a dre­am sty­le. We offer a wide ran­ge of uphol­ste­red fur­ni­tu­re — more than 200 models with sle­eping func­tion and with bed sto­ra­ge: sofa beds, cor­ner sofa beds, sofas, che­ap sofas (cal­led: wer­sal­ki), arm­cha­irs, poufs. 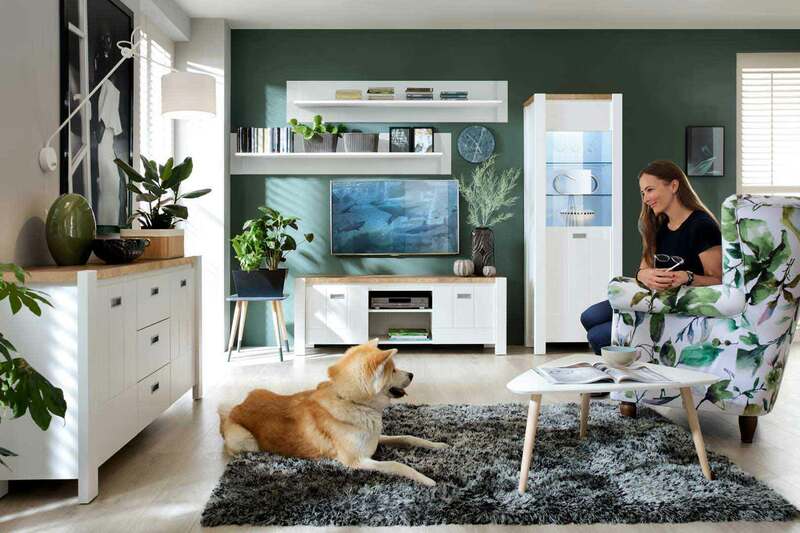 We also offer fur­ni­tu­re for chil­dren and young people, living room fur­ni­tu­re, offi­ce fur­ni­tu­re, dining room fur­ni­tu­re, bedro­oms, entran­ce halls, mat­tres­ses — over 3000 units in both modern and clas­sic sty­le. Fur­ni­tu­re are sold as self-assem­bly pac­ka­ges in flat packs. Our com­pa­ny offers the assem­bly servi­ce, but the pri­ce is not inc­lu­ded. We are regi­ste­red UK com­pa­ny with more than 10 years expe­rien­ce on fur­ni­tu­re mar­ket, so you can trust us. We pro­vi­de short deli­ve­ry times, expert advi­ce and pro­fes­sio­nal servi­ce. Orders pla­ced with us are cove­red by the shop and manufacturer’s war­ran­ty. Be one of tho­usands of satis­fied custo­mers and visit our 1000m2 London’s fur­ni­tu­re show­ro­om. NOTE: We have a wide ran­ge of fur­ni­tu­re ava­ila­ble on display and in stock. The­re is also free par­king for guests. Euro Fur­ni­tu­re — POLISH FURNITURE — POLSKIE MEBLE W UK — Lon­dyn. 16 Dal­ston Gar­dens, Stan­mo­re, Lon­don, HA7 1BU, Uni­ted King­dom. Meble poko­jo­we, sypial­nie, meble mło­dzie­żo­we oraz meble tapi­ce­ro­wa­ne — sofy, tanie wer­sal­ki, naroz­ni­ki. Naj­więk­szy wybór na pol­skie meble w UK. Wyso­ka jakość. Legal­nie dzia­ła­ją­ca fir­ma LTD z show­ro­omem o powierzch­ni ponad 1000m2. W skle­pie meblo­wym w Lon­dy­nie o powierzch­ni ponad 1000m2 moż­na na żywo zoba­czyć sze­ro­ką ofer­tę pol­skich mebli tapi­ce­ro­wa­nych oraz poko­jo­wych. Moż­na tak­że uzy­skać facho­wą pora­dę oraz zamó­wić meble. Przy tym wszyst­kie zamó­wio­ne meble posia­da­ją gwa­ran­cję i ser­wis. Com­pa­ny con­tac­ted me with deli­ve­ry date. Sofa deli­ve­red on time Altho­ugh I do not live in Lon­don. Excel­lent servi­ce. Best polish fur­ni­tu­re in UK. Naj­lep­sze pol­skie meble nie tyl­ko w Lon­dy­nie, ale w całym UK. Thanks to a fur­ni­tu­re sto­re in Lon­don, I fur­ni­shed my apart­ment with my dre­am Polish fur­ni­tu­re. I am very hap­py that now I can set up in the UK as in Poland.